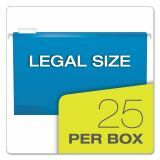 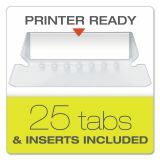 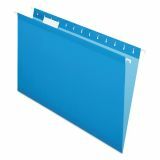 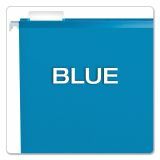 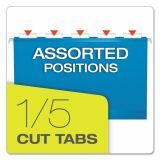 Pendaflex Colored Reinforced Hanging Folders, Legal, 1/5 Tab, Blue, 25/Box - Reinforced Hanging File Folders include letter-size, printer-ready insert sheets for use with clear tabs and a dispensing box with perforated section for easy, one-at-a-time access. 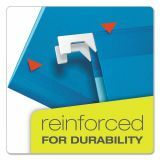 Reinforced with patented polylaminate at all critical wear points. 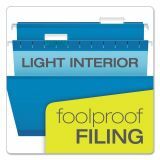 Lighter interior helps prevent misfiles.